5. You’re doing an over-the-road tour. Congratulations! You’re touring the beautiful state of California (and beyond!) with a group of people who are eager and ready to get their cameras out at each and every destination that you’ve programmed into the agenda. No matter what your destination, your guests shouldn’t feel like there is the least bit of uncertainty as to how they will get from place to place. To your guests, in fact, the charter bus will be almost invisible. They’ll just automatically expect to step onto the bus, and they’ll do so without thinking about the effort that you put into all the logistics of the tour. 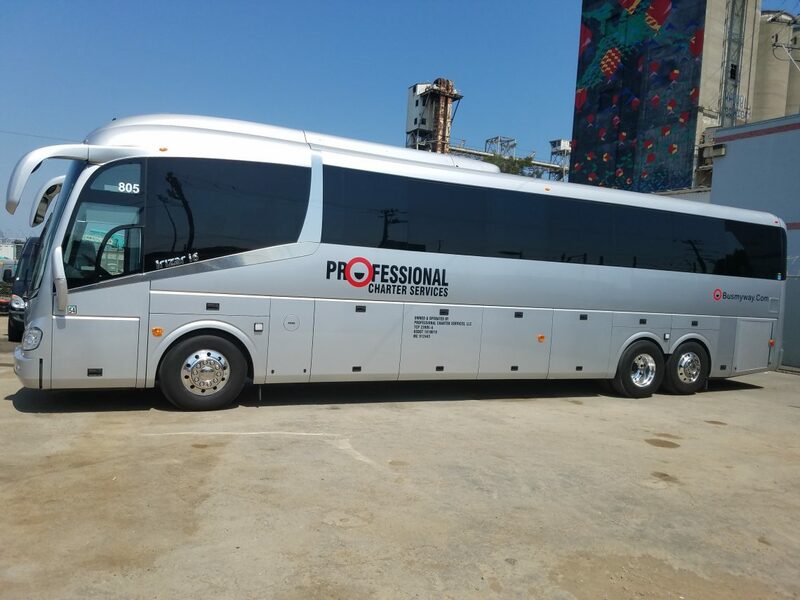 Rent a bus from Professional Charter Services for every tour. You’ll be glad you did. 6. You’re attending an athletic event. It doesn’t matter if you’re the players or the fans – if you’ve ever been to a large athletic event with a big group of people, you know just how difficult it is to find parking, keep the group together, and have a good time when you’re stressed about driving there. Fortunately, the solution is here! 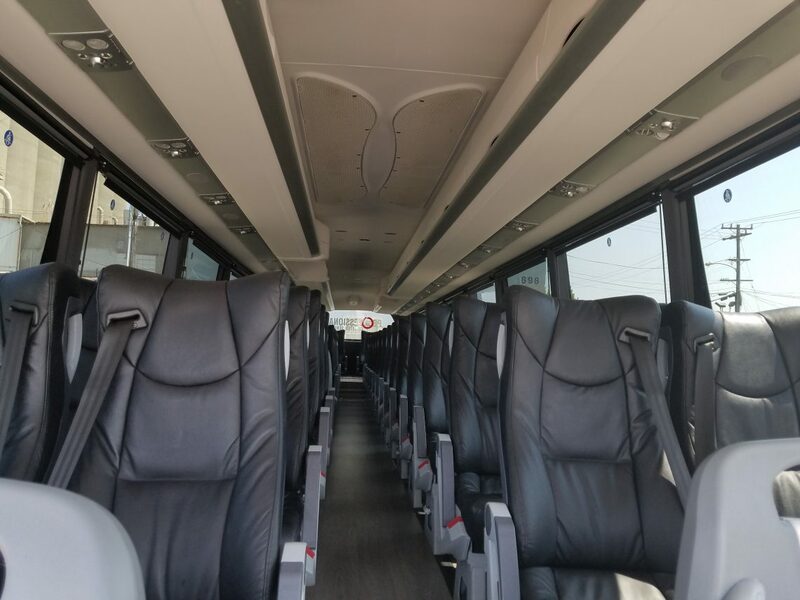 Just rent a bus and the charter company will take care of all the hassle and unpleasant part of driving, leaving you free to relax, enjoy the event with your friends, and come home without fighting the sea of cars that all exit the parking lot at the same time you do. 7. You’re going to wine country. The only thing better than touring wine country is doing it with more people. When you are putting a group together to visit wine country, you’ll likely have a number of stops and a fairly scripted schedule. You’ll want to give everyone in the group the chance to feel like it’s a leisurely progression with the chance to attend the wine tastings and vineyard tours that they’re looking forward to, without allowing anyone to lag behind the group or get caught talking with that immensely interesting gardener. 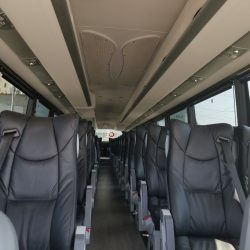 Having a charter bus that departs on schedule is a great way to tactfully signal to the group members that it’s time to move to the next step. No one wants the shuttle to leave them behind! 8. You’re planning a convention or meeting. Conventions for your industry are a great way to meet people in your niche, collaborate, network, and learn from the best of the best in the keynote speeches. Some of the best conventions are the destination conventions, where everyone goes to a remote location, stays in the same hotel, and eats, sleeps, and breathes the material that you’re covering for those few days. No matter where you’re holding the convention, a charter bus can be a great way for you to transport your people there and back. Whether you have a delegation of employees going there to learn or you have people setting up a booth to sell your products in the convention’s expo, you’ll be grateful that you don’t have to add transportation to the pile of logistics you’re carrying. 9. You need people picked up from the airport. If a larger group of coworkers, friends, or colleagues is coming into town for one gathering, you’ll want to make arrangements for them to get picked up from the airport when their flights arrive. Sure, they could all take rental cars or taxis, but if all of them are arriving at the same time and going to the same location, it makes more sense to send a shuttle for them with a driver who will meet them as they exit the airport’s secure area and make their way towards the ground transportation area. Schedule a shuttle so that they can arrive worry-free at your destination. These are just a few of the times when you should consider hiring a charter bus. 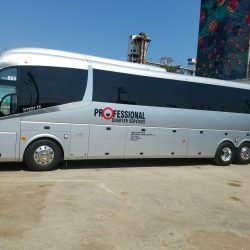 When you need a charter bus in San Francisco, call Professional Charter Services. Get a free quote today.